This is a maple banjo with a gorgeous flame in the wood. The neck is also maple and has a rosewood fretboard. There is a Hearts and Flowers inlay in the fretboard. 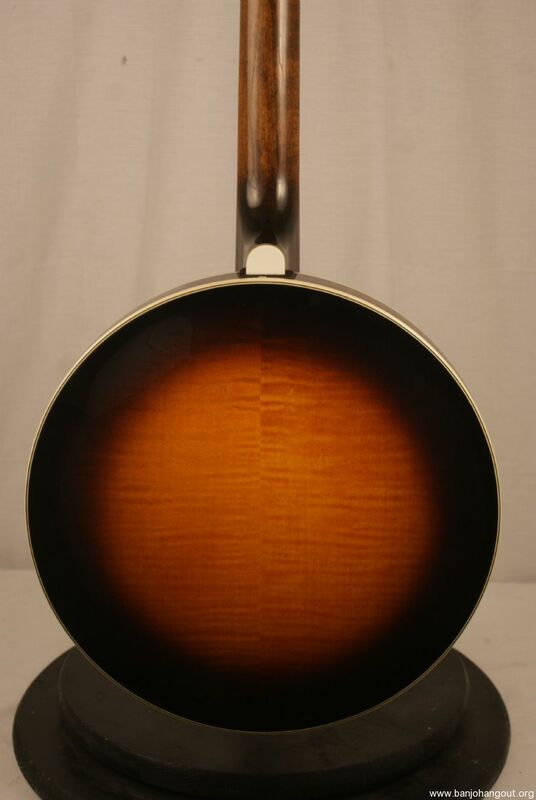 The neck and resonator both have white binding on each side. 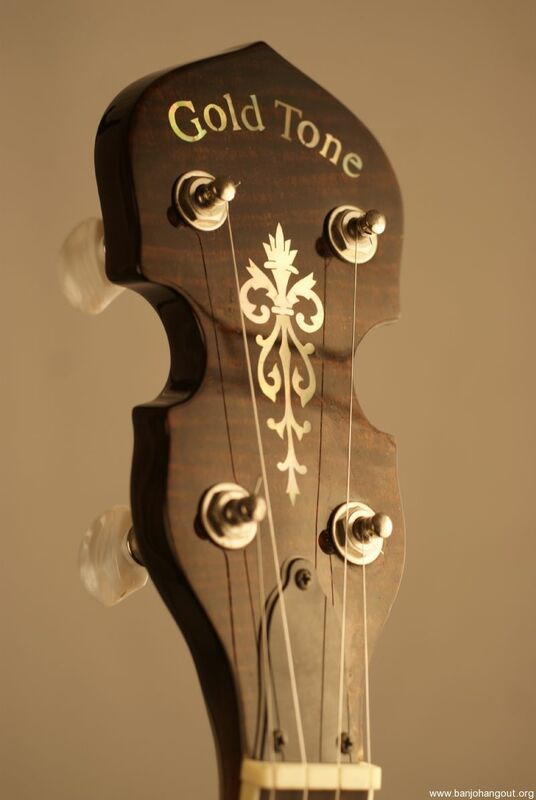 The headstock also has a nice inlay with the Gold Tone logo. The banjo has planetary tuners. 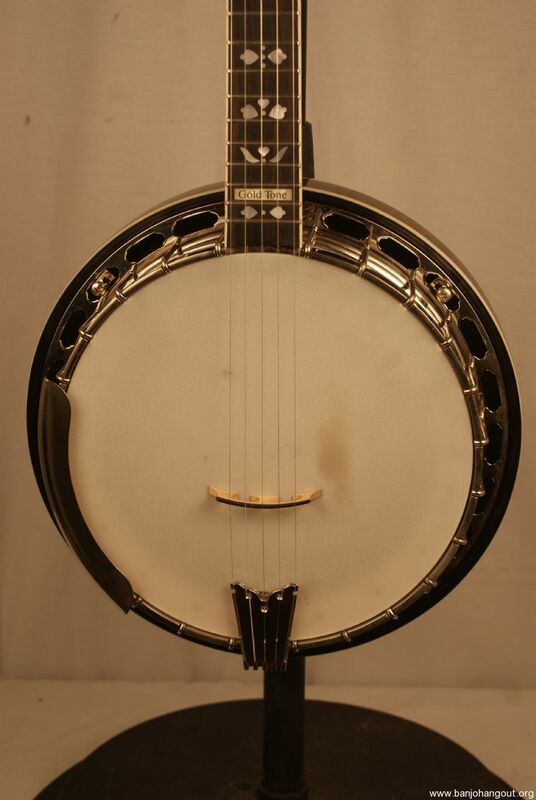 This is a premium grade banjo that would make any player happy. Includes Original Hardshell Case. The hardware has some tarnish but it still looks good. The wood is in great shape and really looks great. The frets are also in good shape with just light wear on the first few frets. The neck is straight and this plays great. 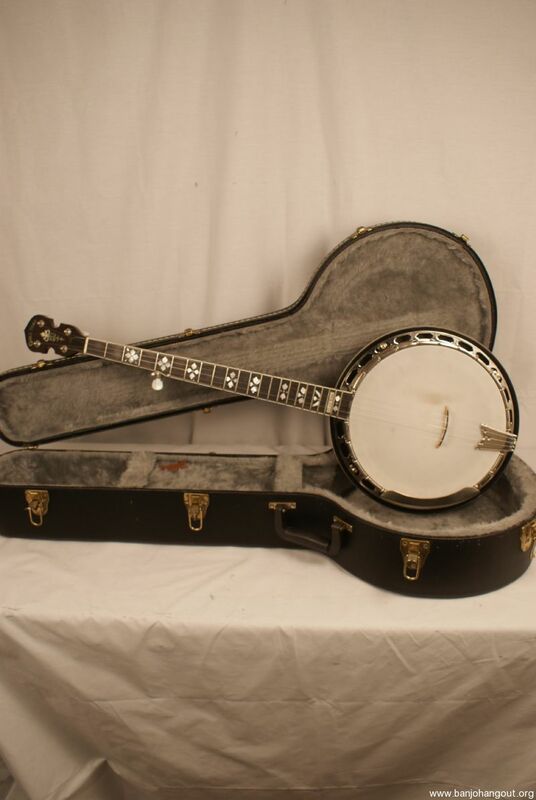 The banjo sounds incredible and it is surprising that it sounds so good for the price. There are spikes in the 7th and 9th frets. The case is in great shape as well. 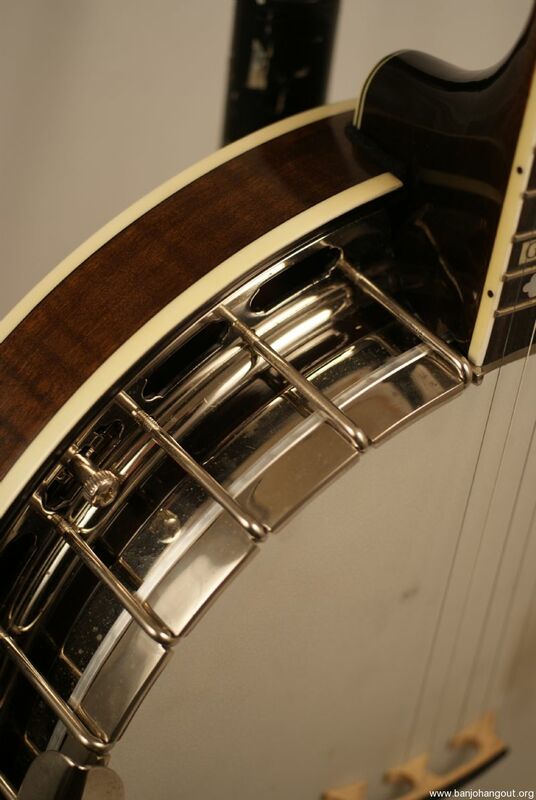 This is a fantastic value on a great playing and sounding banjo. This is all original and is professionally set up. This ad will automatically expire 5/13/2019 2:57:01 PM unless updated before that date. To keep the system current, ads expire if not updated for more than 60 days.